Did you know that Honey had so many health and beauty benefits? Last week I had a chance to learn all about it. I had time to eat yummy honey infused foods and apply all sorts of homemade skincare items with this magic ingredient. I can't wait to share the pics and some tips I learned at this event, check it out! 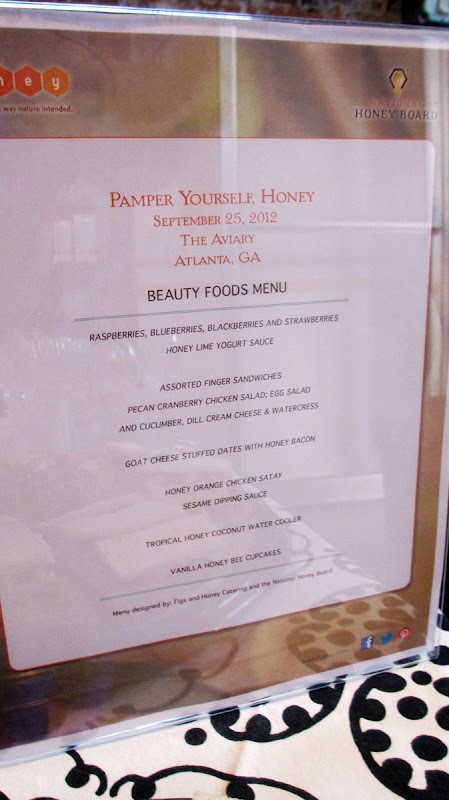 I had so much fun at the National Honey Spa's Get Together "Discover the Beauty of Honey" last week. I consider myself pretty well versed in beauty knowledge after nearly 5 years of doing this blog thing, but I was truly a newbie when it came to learning about Honey. Did you know that there are over 300 kinds? Also, there are tons of new research out there about the moisturizing and anti-aging benefits of Honey - score! I entered the event and was greeted with an array of Honey infused "Beauty Foods" that were not only good for you but were super yummy. 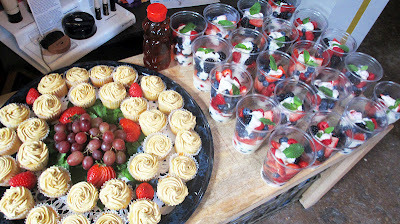 We had Bacon-Wrapped Dates Filled with Goat Cheese, to Coconut Honey Coolers to Yogurt Parfaits and Cup Cakes. Yum! The event was catered by local caterer Figs N Honey. They did a great job of subtly pairing honey into all of the foods. 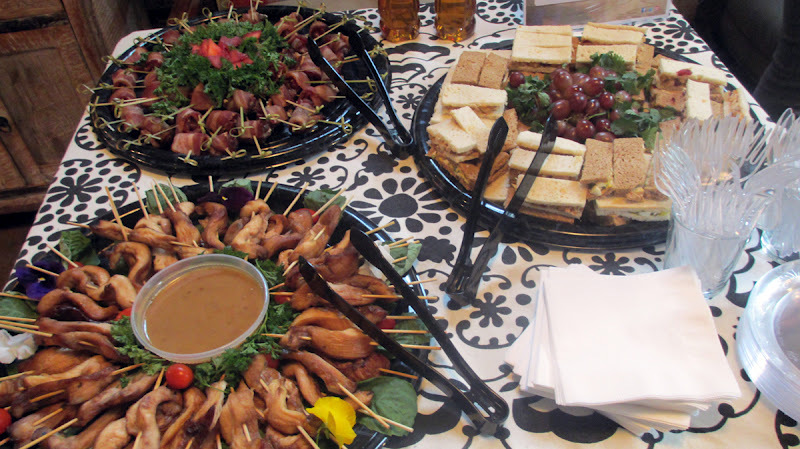 The bacon-wrapped dates were a hit! Mmmmm, Tropical Honey Coconut Cooler. I'm going to try to recreate it! We got a bunch of Honey Food/Drink Recipes in our goody bag. 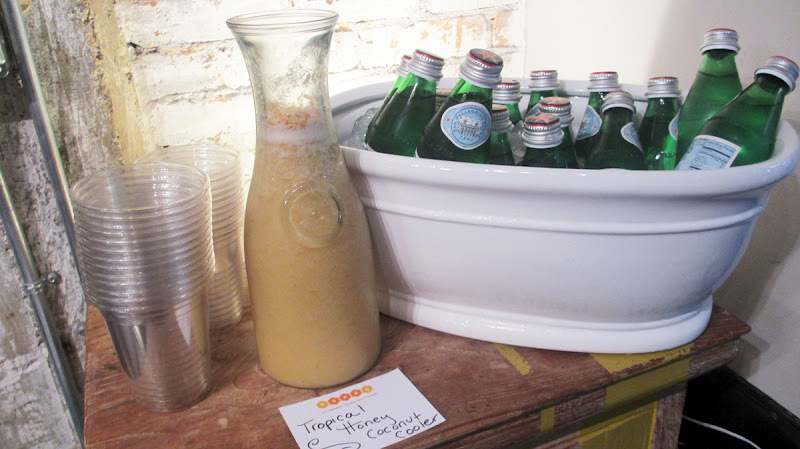 The event was hosted at a local spa called Aviary Organic Beauty Collective that specialized in organic spa and beauty treatments. It was gorgeous in there. They did a nice job of mixing nature with shabby chic. 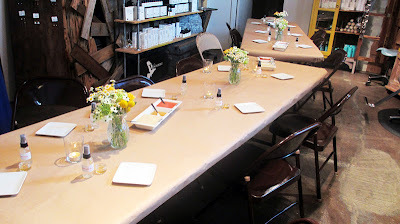 Check out the set-up for our beauty treatment experiments. 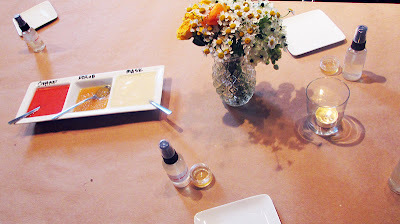 Each blogger had their own set-up including cleanser, scrub, mask, toner and lip treatment. Aviary's Amy Leavell Bransford and HollyBeth Organic's HollyBeth Anderson were an awesome duo. They hosted an intimate lecture on the benefits of incorporating honey into your skincare regimen, along with some exciting new skin care research. 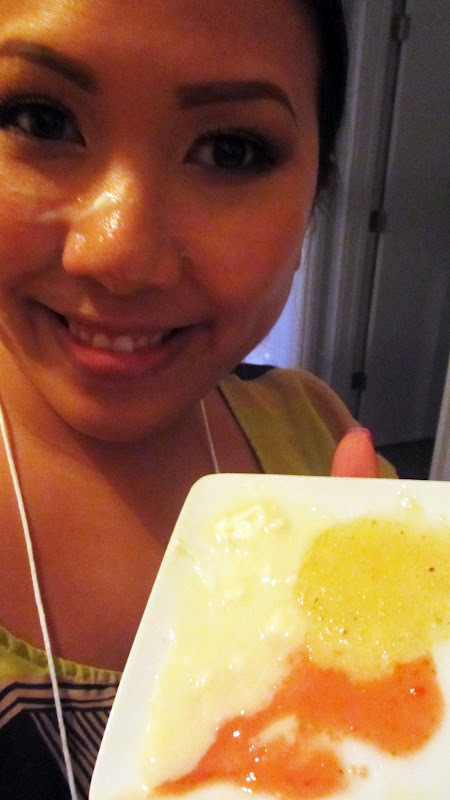 We also learned how to make our own DIY facial scrub featuring natural ingredients and of course Honey! 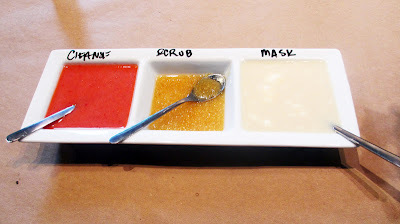 We all had fun applying the Strawberry Cleanser, then the Honey and Grits facial scrub. Here I am applying the Greek yogurt mask. Check out my plate full of skincare. It looked good enough to eat! 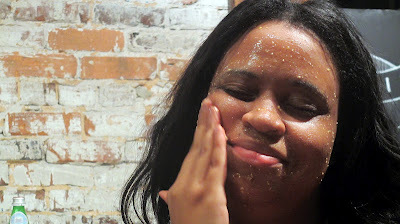 Check out fellow blogger PrettyGirlsRockDress - she was loving that Honey and Grits scrub, lol. Here are some of the Beauty Products we tested and brought home with us. They include a Witch Hazel Toner spray and a lip moisturizer. Of course, all of the products we played with also incorporated honey for added moisture and natural preservative properties. I'm excited about the Toner, a few quick sprays and your skin feels super duper refreshed and moisturized. 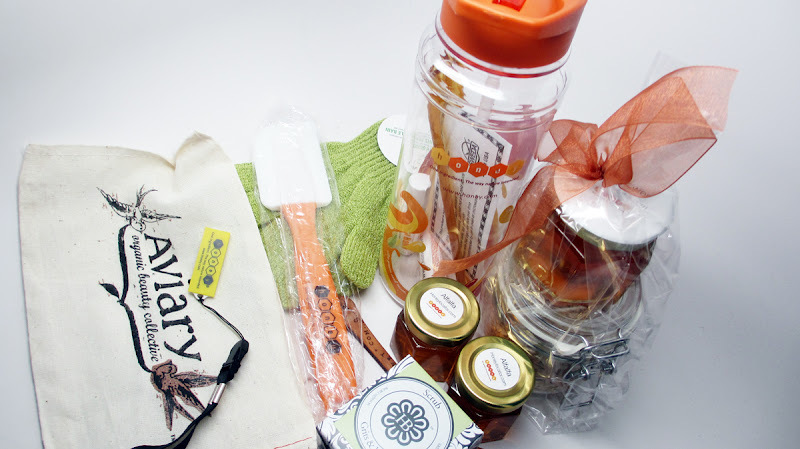 Check out the awesome goody bag. 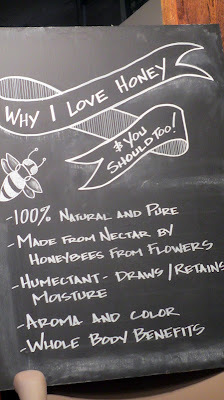 We got tons of ingredients to make some of our very own honey beauty products at home. My skin type is very dry and i'm not getting any younger. After all the moisturizing benefits that we learned honey has to offer, I'm excited to start using it in my beauty regiment with the colder months ahead of us. Hope you all enjoyed! 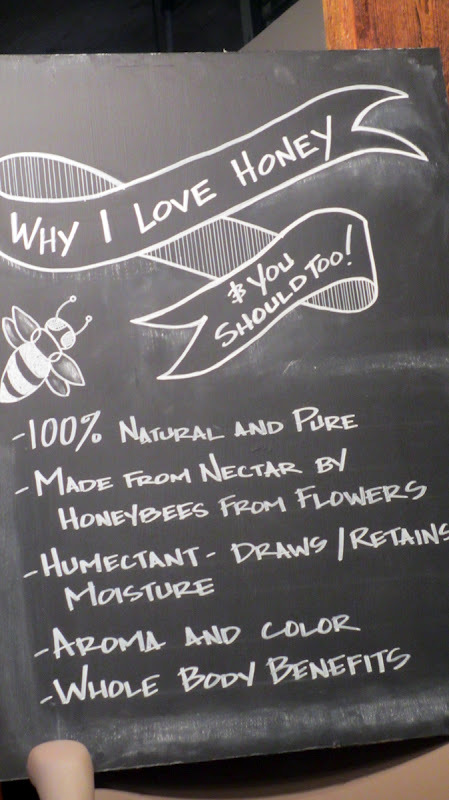 You can find out more about the National Honey Board and the benefits of beauty here. FTC Disclosure: This post has been sponsored for PR purposes as part of Sponsored Post Campaign. I am being compensated to write this post. As always, these are my honest thoughts and opinions. Woah! 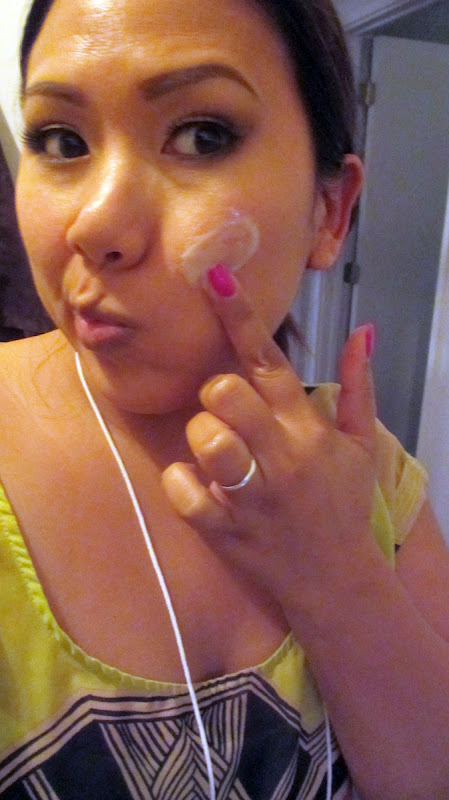 I can't believe that honey can use also in beauty regiments! I must try it so I can prove it to myself.